India's tour of Australia is finally coming to its last chapter. The tour started with a three-match T20 series which ended up with a 1-1 draw as the second T20 at MCG was washed away by rain. 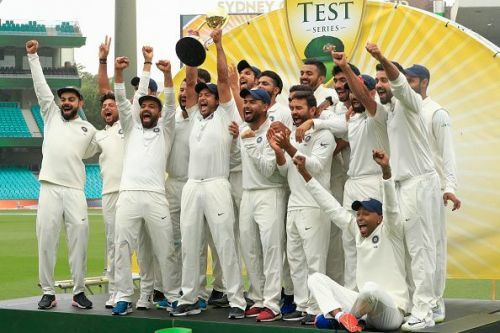 The Test series started with an Indian win at Adelaide and should have ended with an Indian win but rain played the spoilsport in Sydney and hence India won the series by 2-1. Team India led by Virat Kohli made history by defeating Australia in Australia. India has been touring Australia since 1947/48 but none of the Indian team were able to achieve the feat that this team India has done. They dominated the entire series except for Perth. This Border-Gavaskar trophy Test series in Australia has seen some brilliant performances from both the teams. So let's take a look at the 5 best players of the series. Mohammed Shami has been excellent for India this entire season of overseas cricket. His combination with Ishant and Bumrah has formed a formidable pace trio over the last one year which has picked up more wickets than any other fast bowling combination in 2018. 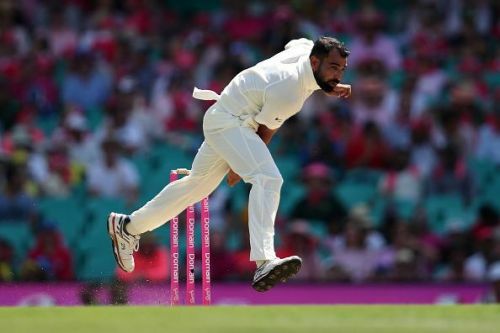 Shami has usually been used as the third pacer who bowls after Ishant and Bumrah. He does an excellent job to keep the pressure up that has been created by the opening bowlers. He utilizes the new ball as well as the old ball with finesse. Shami has been more threatening in the second innings. His bowling in the second innings of the Perth Test match was absolutely superb. He picked up 6 wickets in the innings and recorded his best figure in Australia of 6/56. Shami ended the series as the third highest wicket-taker of the series. He picked up 16 wickets in the series at an average of 26.18.